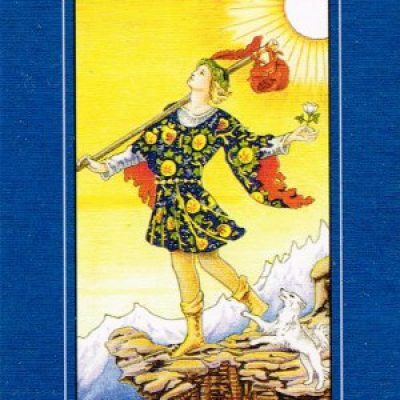 The Universal Waite tarot has been vividly re-colored from the original version. It is good for both beginners and advanced readers alike. The imagery is simple and straightforward, yet still contains a vast amount of symbolism in the details and backgrounds. 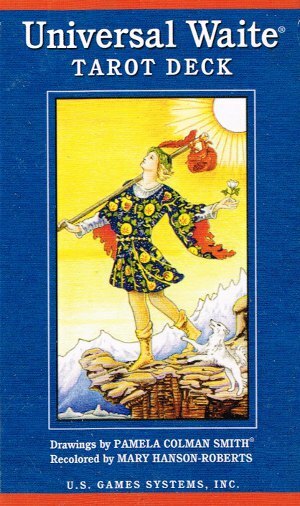 The Rider Waite tarot has been influential in the development of more modern tarot sets, being that it's subjects are close to original tarot sets, adding new symbolism from the teachings of modern esoteric practices.